Please join us in congratulating Bryn Daring-Stewart, Dava Royer and Royer Realty LTD. For being this month's Logan County Chamber Business and Entrepreneur of the month. 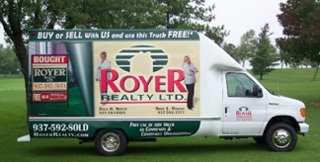 Royer Realty has been serving Bellefontaine and Logan County for the past 28 years and currently consists of nine realtors; Dava Royer, Bryn Daring-Stewart, Kathy McClure, Jennifer Tillman-Engle, Kristin Knight, Tim Woods, Rob Powell, Patricia St. Clair, Terri Penhorwood, and office manager, Shelby Smith. Dava Royer became a licensed realtor in 1983 and worked for Fullerton Realty and Barbara South Realty before forming Royer Realty in 1988. Bryn Daring-Stewart, a 1999 Bellefontaine High School graduate, joined Royer as a licensed agent in 2001 and went full time after graduating from Ohio University in 2003. Bryn recently purchased the business in 2016 and Dava remains a member of the sales staff. Dava chose Bellefontaine for her business because she was born and raised here and had no desire to leave. "It's been a wonderful community to do business and I have received so much support from my family, friends, family's friends and past clients" states Dava. Bryn was also born and raised in Logan county and fell in love with selling real estate. Realtors from Royer attend annual Real Estate Conventions & Conferences to stay ahead of the competition. They also offer a free moving truck to their clients, schools, local churches and non-profit organizations as well as free notary service. Royer Realty has been a huge supporter of the Holland Theatre restoration both monetarily and with Dava serving as a board member and fundraising chair. They are also a big supporter of the schools athletic and music departments as well as the Historical Society. Dava and Bryn have both been recipients of the Ohio Association of Realtors highest awards based on sales volume each year. Dava is a Certified Residential Specialist and Graduate of Realtor Institute. Bryn is a certified Residential Specialist, Short-sale and Foreclosure Specialist, and a Military Relocation Professional. 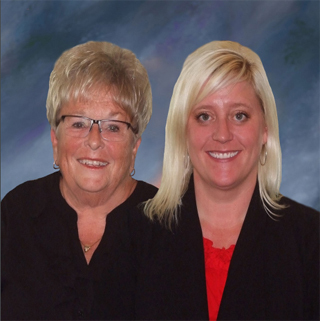 Both Dava and Bryn are annual recipients of Ohio Association of Realtors Presidents Club. Royer Realty was one of the first realtors to join the Logan County Chamber and feels that all businesses should support their local chamber. We thank Bryn & Dava and the staff at Royer Realty for their 26 years of chamber membership and their service and commitment to Logan County.